A Road Trip to Northern Italy is in the bucket list of everyone! Just visiting Venice, will be an experience you will never forget! 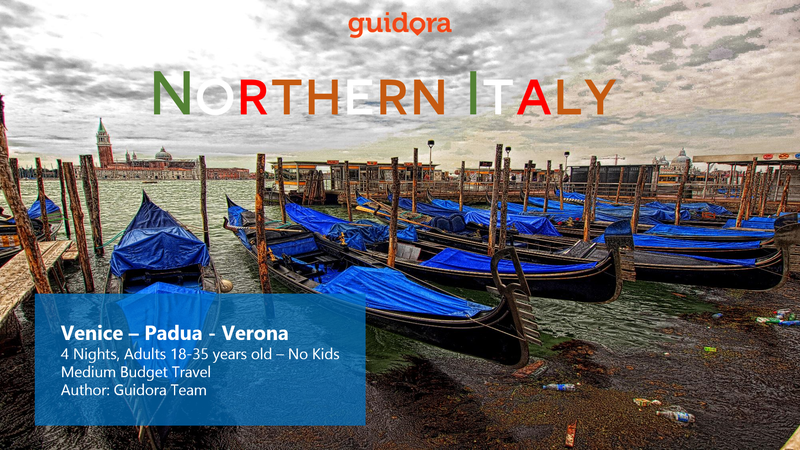 Northern Italy offers many attractions and things to do and this is where we come in. We have created for you an hour-by-hour “Best of Northern Italy in 5 Days’ itinerary”, which has all the top things to do and see in Venice, Padua and Verona in 5 days. By getting this travel itinerary you will save time, save yourself from the stress on organizing your trip and save money thanks to our hard-to-find tips.